Over 5000' of truss in stock and ready for paint. 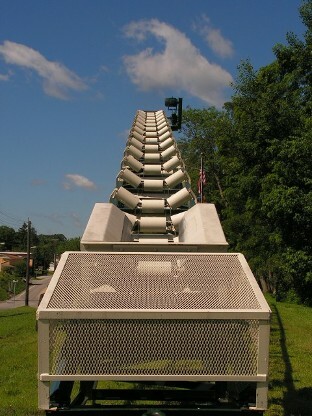 Your conveyor is waiting. 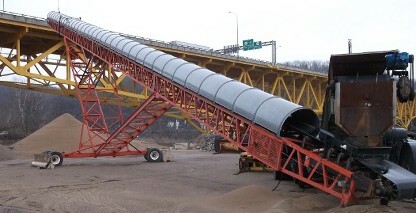 Aggregate Radial Stacking Conveyors in stock and ready to ship today! Our aggregate stackers are engineered to meet your needs. Featuring CEMA C Idlers with optional impact idlers, our systmes are designed specifically for each application. Call today and tell us the material you wish to convey, length of the system, incline on the system and desired tons per hour capacity and we'll get your quote to you within 24hrs. ANY SIZE, ANY VOLTAGE, YOU SPECIFY, WE BUILD!